A really good student learns because he wants to, not because he has to. He is driven to grow intellectually because he enjoys the learning process. He is educated and entertained at the same time, hence Edutainment. 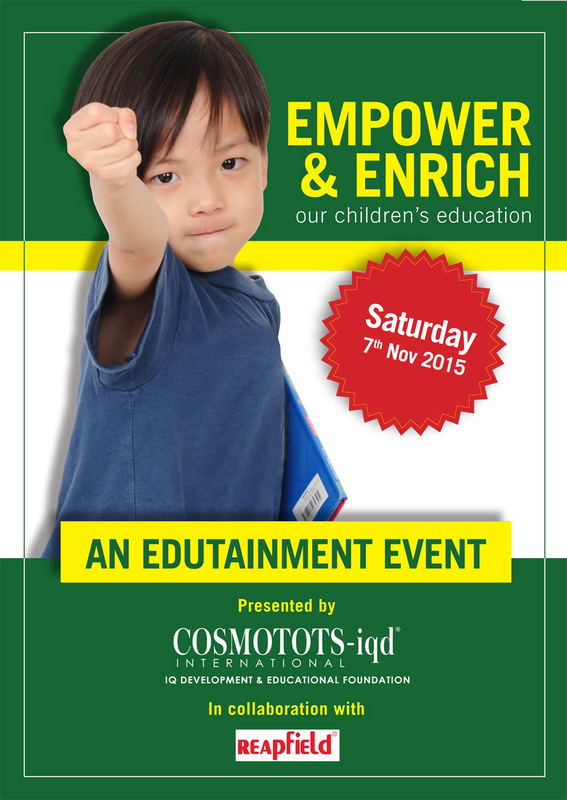 COSMOTOTS-iqd International is holding an event to showcase what can be achieved when the process of learning is one of pleasure, not pressure. The particular ability that our kids will be presenting this time round is: elocution. Come discuss education with us and see our kids perform! • Walk into or call any COSMOTOTS-iqd Chapter. 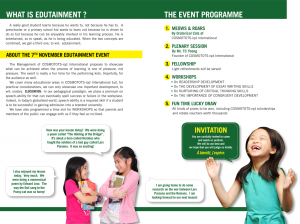 • REGISTRATION FEE: RM 35 per adult. TIME : 9.30 a.m. to 1.30 p.m.